With the end of the semester closing in, the slue of papers, assignments, and exams are starting to pile up. This semester, I took on 23 credits, and I have been trying to work stress-relieving practices into my day to increase my focus and overall well-being. I have gotten many suggestions including exercising more, simply dropping a class, or mediation. I tried meditation by just trying to clear my mind for 10 minutes during the day. While this gives me a nice ten-minute break, I can’t help but want to focus on something to keep my mind from wandering to my to-do lists. My friends who meditate suggested focusing on breathing. For this blog, I wanted to learn if breathing could help my health in these last busy weeks of the semester. 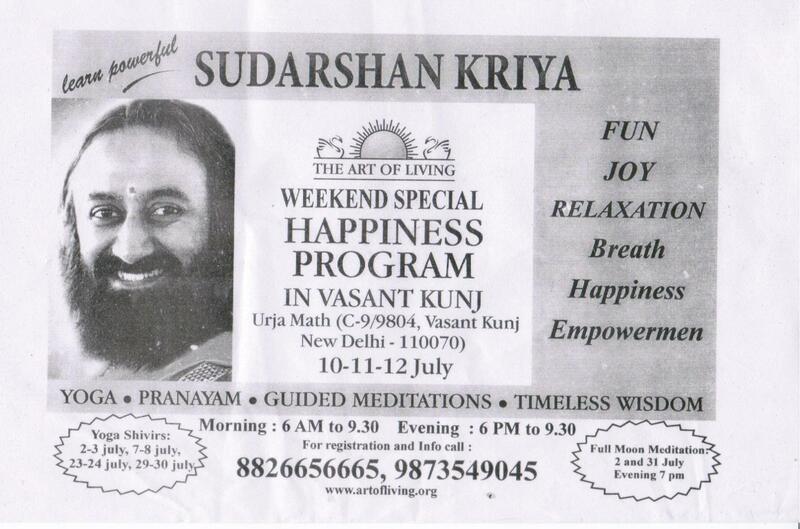 The first study I came across tested the effectiveness of Sudarshan Kriya yogi breath. This style of breathing focuses of breathing deeply varying from long to short, quick breathes in a rhythmic fashion. The study’s sample size was 25 people who had major depressive disorder. The null hypothesis is that the Sudarshan Kriya breath would have no affect on the participants. While the alternative hypothesis is that the breathing technique will affect the participants. The control group did not practice this technique at all, and then the experimental group practiced the breath once a day for eight weeks. At the end of the eight weeks, the experimental group improved on multiple different mental health scales. Therefore, the researchers had to accept the alternative hypothesis because this form of breathing had an effect on the participant’s health. The sample size for this study is small and specific to those with major depressive disorder. Furthermore, it would be be beneficial for the control group to do some form of relaxing, even if they just sit for a period of time. The study did not specify if the control did anything. Still, the results look promising. I wonder if this breathing method could help people, including myself, who are not diagnosed with depression but just are stressed out. As I continued my search, I found a study that tested the Sudarshan Kriya style of breathing on a group of healthy people. The sample size was a bit larger with 103 people, and the null and alternative hypothesis are the same as the previous studies. While the experimental group practiced the breathing for six weeks, the control group relaxed for the same amount of time. Since the control group did something for 10 minutes (relaxing), I think this study has even more merit because it reduces confounding variables. Once again, the results deemed that those in the experimental group had a decrease in stress and depression and an increase in perceived optimism, and the researchers accepted the alternative hypothesis that Sudarshan Kriya breathing benefits health and well-being. During my search, I kept coming across more research articles that supported that Sudarshan Kriya breathing had health benefits. What I still do not understand fully is the mechanism. How can doing someting so simple, breathing, improve so much in the body? According to Harvard Health publications, deep breathing, which is a charateristic of the Sudarshan Kriya technique, generates more of an oxygen and carbon dioxide exchange. This exchange is supposed to lower blood pressure and calm heart rate. Since the benefits of Sudarshan Kriya are so vast ranging from emotional, mental, and physical benefits, I am curious if this technique has to do more than just generate more of an oxygen exchange to improve so much in the body. Both studies also noted that there was no harm when using this breathing method. 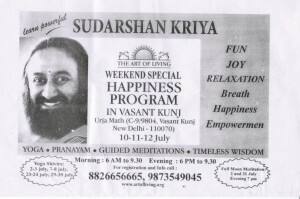 Since there is no health risks by trying to incorporate Sudarshan Kriya into a normal day and it suppose reduces depression, anxiety, and other really harmful heatlh complications, students like myself would benefit from trying this method for a few weeks. I know that I will be replacing my normal mediation time with Sudarshan Kriya breathing techniques for the final stretch of this busy and stressful semester. This entry was posted in Uncategorized on December 1, 2016 by Taylor M Lender. 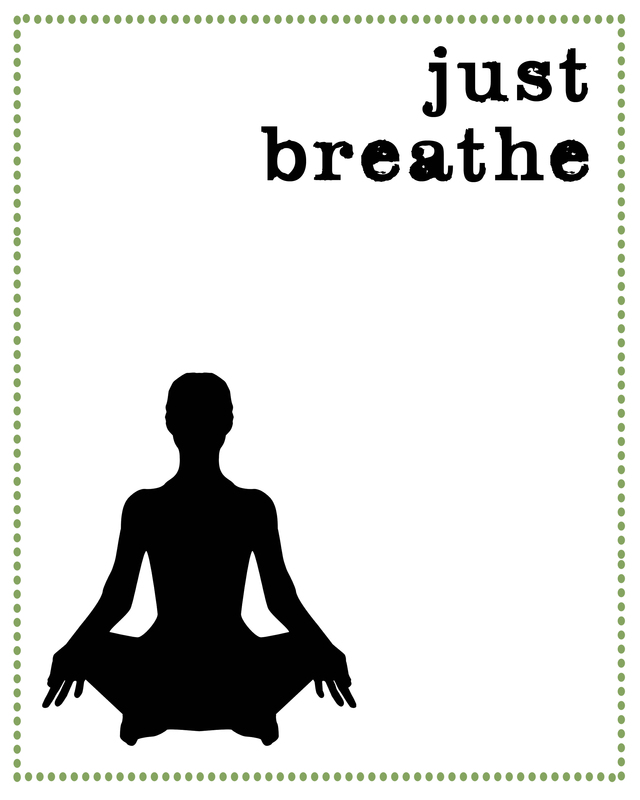 I’ve always heard the expression “take a deep breath” and I always thought it helped! I agree that breathing and meditation can be very beneficial to your health, especially when stressed or anxious. Here is an article published by the Mayo Clinic about meditation and stress. As someone who gets easily stressed out, I might try this out for myself! I liked that you had multiple studies to help find an answer. The second study was really good because it had a much larger sample size to work with. Its good to know that there are obviously no downfalls to trying out this method to relieve stress and make you happier and healthier. So why not try it out? This is a really great blog post with really great advice. Meditation and just breathing always helped me whenever I was stressed out. Here’s an article (http://operationmeditation.com/discover/7-top-health-giving-benefits-of-deep-breathing/) on some more benefits of deep breathing. Either way, breathing is a regular part of our day, and we don’t realize just how much of an impact it can have on our lives (outside of the obvious, which is not breathing causes you to die).